In this week’s feedback, CMI’s Lita Cosner and Dr Jonathan Sarfati demonstrate how the Bible provides the antidote to racism and slavery, and a basic chronology of Cain. Alex A. from the United States writes in response to the article Racism a consequence of evolution? I would like to point out a flaw in this article. You use the “Ascent of Man” image to display how man’s skin has progressively developed lighter skin. This however, is a poor observation. First off, the “skin tone” you refer to is the dark fur of prehistoric apes, not their skin. Secondly, these former creatures are not fellow races of man, they are former ancestors of our species, and relating them to racism is ridiculous. If you were to do your research, you would find that racism is in fact a product of religion, not evolution. Religion makes claims that some races are better than others, and promotes ideas such as slavery. Exodus 21:2–6, Exodus 21:7–11, Exodus 21:20–21, and Ephesians 6:5 are but some of many examples of this. So please, do not attempt to poke holes in something which you clearly have little-to-no knowledge of. I agree that in the first three apes, the dark color is due to fur; we weren’t even using them in our argument. Our main point was that the last two ‘hominids’ in the progression look indistinguishable from a modern day African and a modern day European. 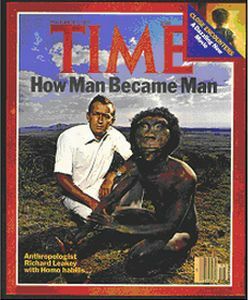 It certainly seems to be saying that the European–looking man is more evolved than the African–looking man (when in reality they are both Homo sapiens, so even by the [modern] evolutionists’ standard they would be the same species). Some ‘religions’ may indeed make claims about certain races being better than others. I have no interest in defending ‘religion’ in general, but only biblical Christianity, which certainly does not make any racist claims. See Romans 10:12, 1 Corinthians 12:13, Galatians 3:28, Colossians 3:11. The belief that all humanity is descended from one couple and thus is closely related makes racist claims very illogical (it is possible to claim that one culture is superior in certain aspects to another culture in certain ways, but that is a completely different issue). Evolution did not cause racism; racism existed long before there was a theory to legitimize it. But evolution gave it scientific legitimacy. The verses to which you refer all deal with slavery, which is a different issue from racism. Practically every race has been enslaved at some point, more often than not by their own race. The African slaves were often caught by fellow Africans and sold to Europeans. The Exodus verses deal with Hebrews enslaving Hebrews [and it cannot be emphasized enough that this was more like indentured servitude than chattel slavery], while the Ephesians verse deals with Christian slaves serving masters who may or may not be Christians. Time does not permit a lengthy excursus into the social factors which made it impossible for Christian leaders to call for an immediate ban on slavery, but they undermined the institution much more effectively by calling on Christian masters to see their Christian slaves as brothers in Christ. In Philemon (which you surprisingly didn’t cite), Paul doesn’t tell Philemon to release Onesimus, but if one listens to what Paul does tell Philemon: “Onesimus is like a son to me, I’ll pay his debt. You’ve lost him as a slave, but he’s coming back as a brother. In fact, I want you to treat him like you’d treat me (and by the way, I’m coming to visit soon! ).” There is no way to read that and conclude that Paul thinks it’s okay for Philemon to keep Onesimus as a slave (and if I read church history correctly, Onesimus was freed—there are two accounts of his later life; one that he was sent back to Rome to serve Paul, another that he become a church leader in Ephesus (but this may refer to a different Onesimus). Both accounts end in his martyrdom under Trajan). To the depiction of Homo habilis as an ape who looks an awful lot like a black man: Homo habilis face illustration, front view, ‘scientific’ portrayals of ‘human ancestors’ are still implicitly racist. Why is it racist for a layperson to call a black person a monkey, but scientists can portray ‘monkeys’ as black people or vice versa, and that’s called ‘evolutionary biology’? We stand by our statement that the Smithsonian image was racist, whether intentionally so or not. 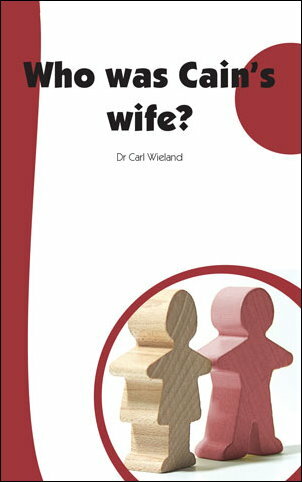 I was hoping that we could possibly learn of a ‘time factor’ here, as the children of Adam and Eve must certainly have lived a very long time as well, and we don’t know when he married, we don’t know how ‘old’ he was when he married, or how old the wife was as well, and that could be a significant factor in the timing of everything, as in how old was he when he killed his brother, how old was he when he had his children etc. age here could be a factor and that seems to be overlooked, as we don’t see any clues as to the time frames of when all that took place, i.e. ‘age to marry, age to give birth, etc.’ I hoped to see some hint as to that, but we don’t see one. Cain was most likely married before he committed murder, because God punished him by banishing him from the human community at the time. Cain was conceived not too long after the Fall, for reasons explained in Timing of the Fall. The biblical data show that Seth was born when Adam and Eve were 130. Eve specifically stated that Seth was a replacement for Abel, suggesting he was born not too long after. Cain was most likely married before he committed murder, because God punished him by banishing him from the human community at the time. This suggests that his wife accompanied him. Age at childbearing does impact another issue: the sharp drop in lifespan from Shem to Noah. In a Journal of Creation paper I wrote last year (24(3)), “Flood models and biblical realism”, I argued that an explanation is that Noah was a very old father, even by the standards of the day, so his reproductive cells had far more time to accumulate mutations. My colleague, geneticist Dr Robert Carter, concurs. It’s certainly an interesting topic, and indeed I have an article forthcoming in Creation magazine, Why Bible history matters: And: the timing of the Fall and Ark-building. 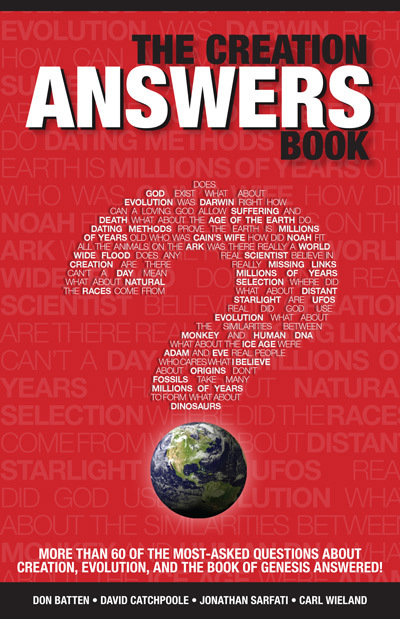 The Creation Answers book—Who was Cain's wife? Cain’s wife explanation ‘gross and disgusting’? Is brother-sister intermarriage intrinsically immoral? How old was Cain when he killed Abel?